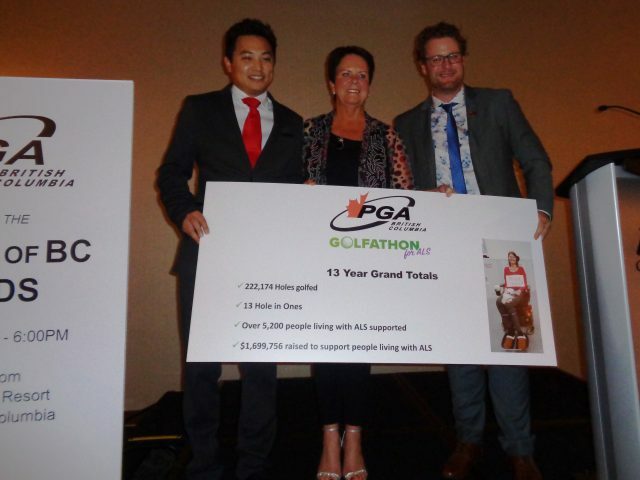 The grand totals for this year’s Golfathon for ALS were announced last night, October 10th, 2018, at the PGA of BC Awards Celebration. This year, 10,792 holes were played by 80 golfers; three of which were hole in ones. $203,263 was raised to support people living with ALS. $1,699,756 raised to fund support programs provided by the ALS Society of BC! 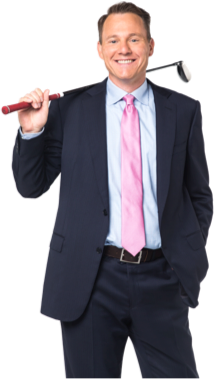 “I would to thank the golf professionals, their courses and members for the outstanding support of the PGA of BC Golfathon for ALS. Over the past 13 years, the support received by the PGA of BC has been outstanding. 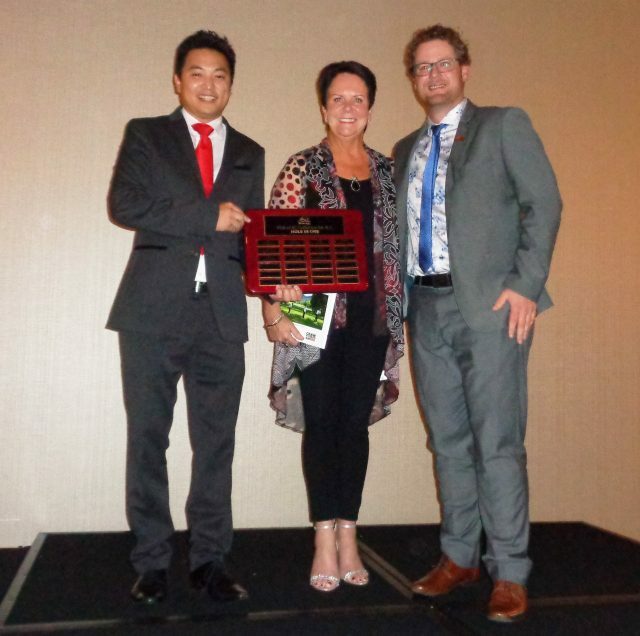 Words could never adequately express our gratitude,” said Wendy Toyer, Executive Director of the ALS Society of BC.